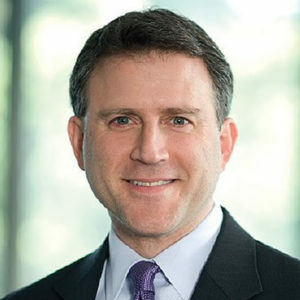 Barry Medintz is the General Counsel and Corporate Secretary at Rubicon Global, the world’s leading cloud-based provider of waste hauling and recycling services. Barry joined Rubicon following a career as Senior Vice President, General Counsel and Company Secretary of Recall Holdings Ltd. Senior Legal Counsel at Motorola, Inc., Trademark Licensing Counsel at The Coca-Cola Company, and an associate at Perkins Coie LLP. Barry specializes in corporate governance, mergers and acquisitions, commercial transactions, and dispute resolution. Barry earned his B.A. in History and Political Science with distinction from UW in 1990 and his JD from Emory University in 1994. He is a member of the State Bars of Georgia, Illinois, and the District of Columbia.